The Friends Bike Clinic is Sunday in Ithaca. What better way to spend a beautiful fall afternoon than with other bicyclists! Here is an event that will be informative AND fun for the whole family. It’s worth the drive to Tompkins County! 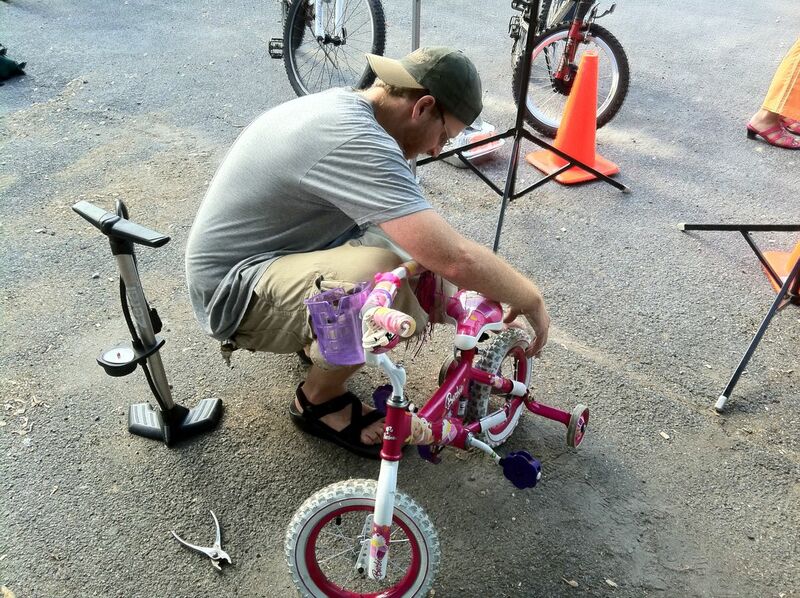 The Religious Society of Friends (Quakers) will hold a Free Bicycle Clinic from 1 t0 3 p.m. Sunday at the Quaker Meetinghouse at Third and Madison Avenues in Ithaca. The clinic is open to everyone and is totally free. There will be a 15-minute presentation on basic bike repair at 1 p.m., then members and visitors will fix their bicycles! Larry Clarkberg is the moving force behind the Clinic and he’s a guy who is devoted to the cause of getting more people out on bikes for both recreational and commuting purposes. Bikes of all sizes will be welcome Sunday! If you’re planning to go, check out the Friends’ website and RSVP so they know how many people are coming. They want to be sure they have enough tools on hand for everyone! The weather looks good on Sunday. Why waste the day raking leaves or watching football when it’s a great time for bicycling! They plan to hold these bike clinics on the fourth Sunday of each month, so keep an eye on the website for future clinics if you can’t make this one! Also while you’re there, check out their new bicycling forum. This entry was posted in Bicycle Safety, Cool Stuff for Bicyclists, Friends Bike Clinic, Uncategorized and tagged accident attorney, accident lawyer, bicycle accident, bicycle accident attorney, bicycle risks, Bicycle Safety, bike accident, Elmira New York, James B. Reed, Jim Reed, New York bicycle accident lawyer, pa bicycle accident lawyer, Ziff Law Firm on October 22, 2011 by Jim Reed.